We think this is one of the most successful of our first collection as the Fluorite stripe makes it both contemporary and creative as well as traditional and natural. The 30% silk mixed with high quality wool makes for a luxurious feel that is enhanced by the generous length (178 cms). 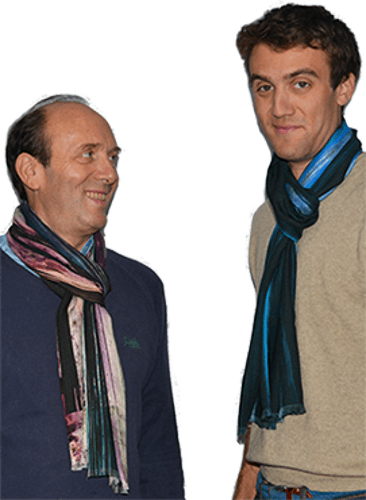 The doubled up width means there is no front and back (found with cheaper scarves), so it can be worn any which way depending on the weather and occasion. 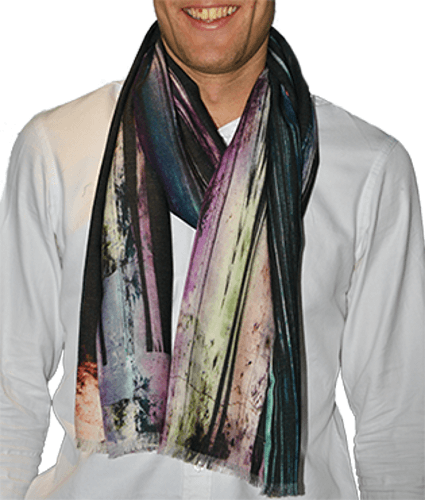 It has been digitally printed near the banks of Lake Como by the same company that produce our women’s scarves, and features an elegant fringe at each end, and subtle hints of blue across the whole scarf.